Filled with some of my favorite things: our church, family, friends & CRAWFISH! 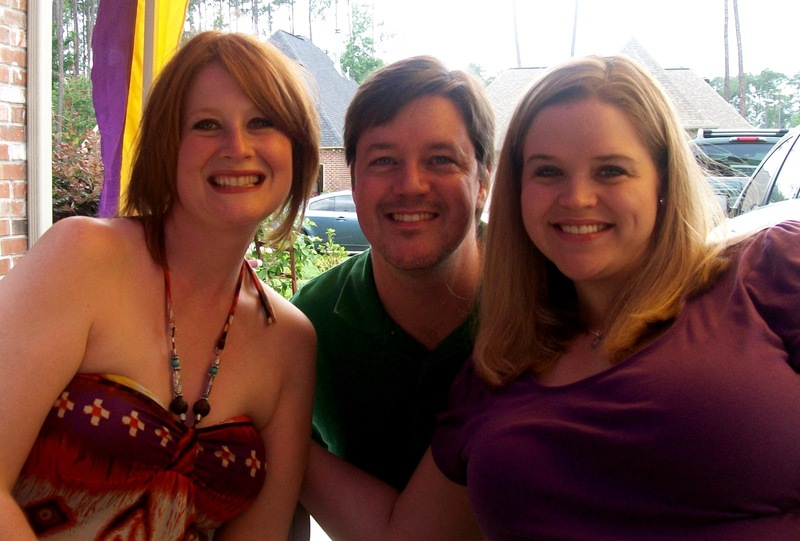 We went to church & then headed straight to Mandeville, LA for a crawfish boil at Mike's Uncle's house (Mike is my sister's boyfriend). 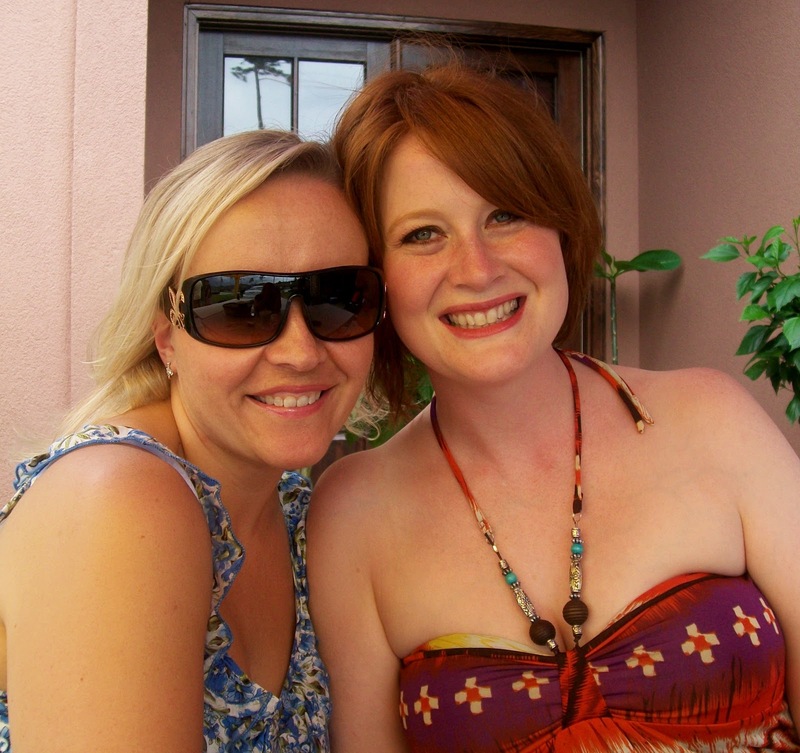 My sister's very best friend Tiffanie is in town from England. Tiffanie is more than just my sister's BFF... they've been friends for so long that she really is like a part of our family. She married a guy from England years ago & moved there... and i haven't seen her for 5 years!! My sister has gone to England to visit her & her family, but i haven't been able to go. I mean, she hasn't even met my husband! So i couldn't wait to see her! 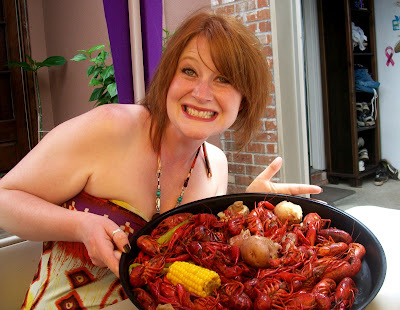 Tiffanie & her tray of crawfish! YUM! About time, huh, Tiff? 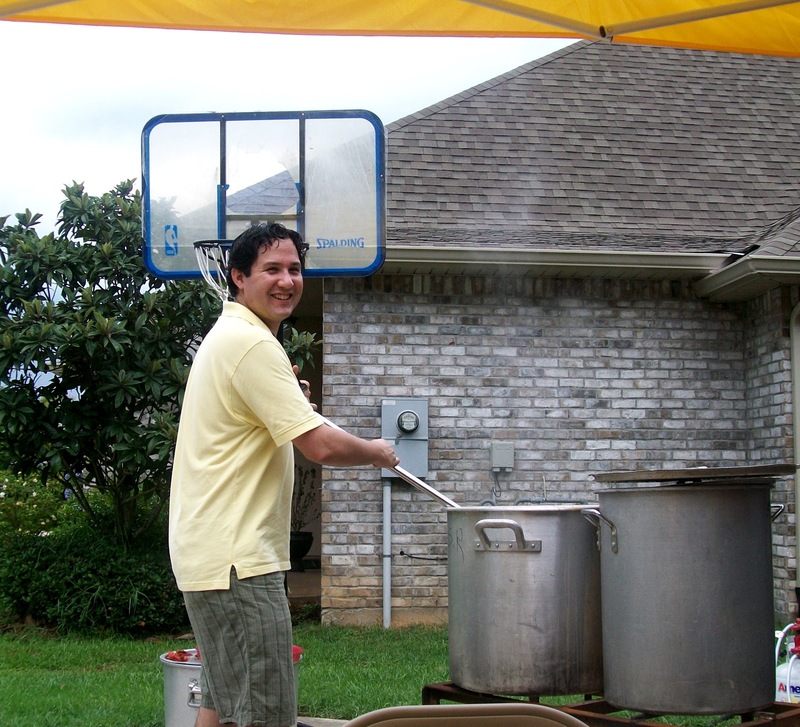 Mike stirring up the crawfish! 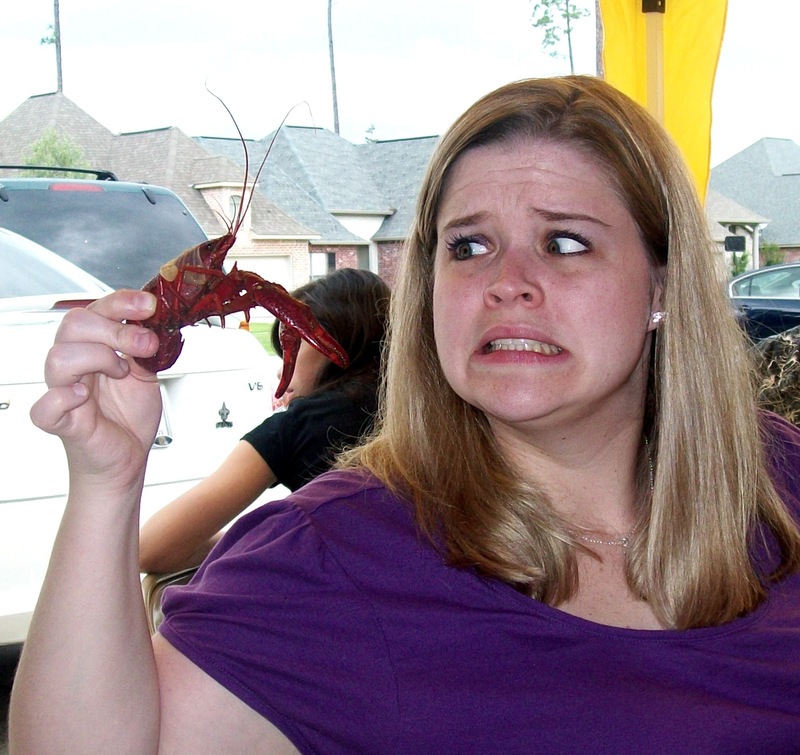 Me & a big & scary crawfish! Another one of Tiff & her crawfish! We had a really great time. 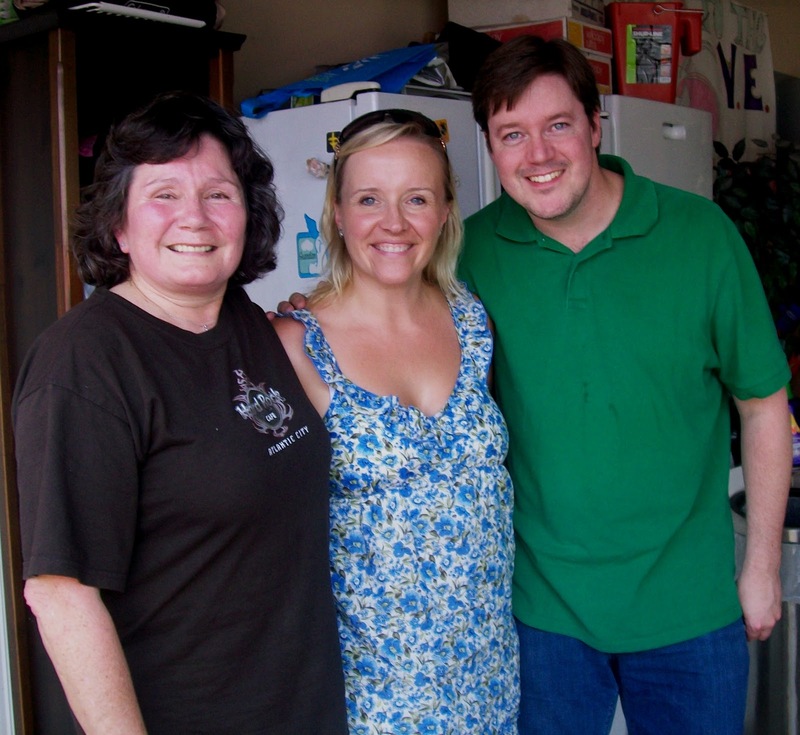 It was wonderful to see Tiff & to meet some of Mike's family! They were so nice & welcoming. Very friendly! We had a really good time. We came home & ended up calling Brad's parents to see if they wanted to come over. I baked some cookies & Brad put on a pot of coffee & we visited with them for awhile. Then we watched the movie "Post Grad" with Alexis Bledel which was pretty cute. Another great thing about today? Knowing i don't have to get up & go to work in the morning! Happy Memorial Day, everyone! Thank you so much to those who have sacrificed a LOT for our freedom. Thank you especially to my daddy, my Uncle Ruby, & my late grandfathers - Papaw & Papajoe. :) And thanks, love & prayers to all of my friends who have family members serving our country now. I've never had crawfish...hmmm, might have to try that out one day! Looks like so much fun! I LOVE CRAWFISH! I want some now! I watched that movie this weekend too...it was cute! oh that looks so much fun!! 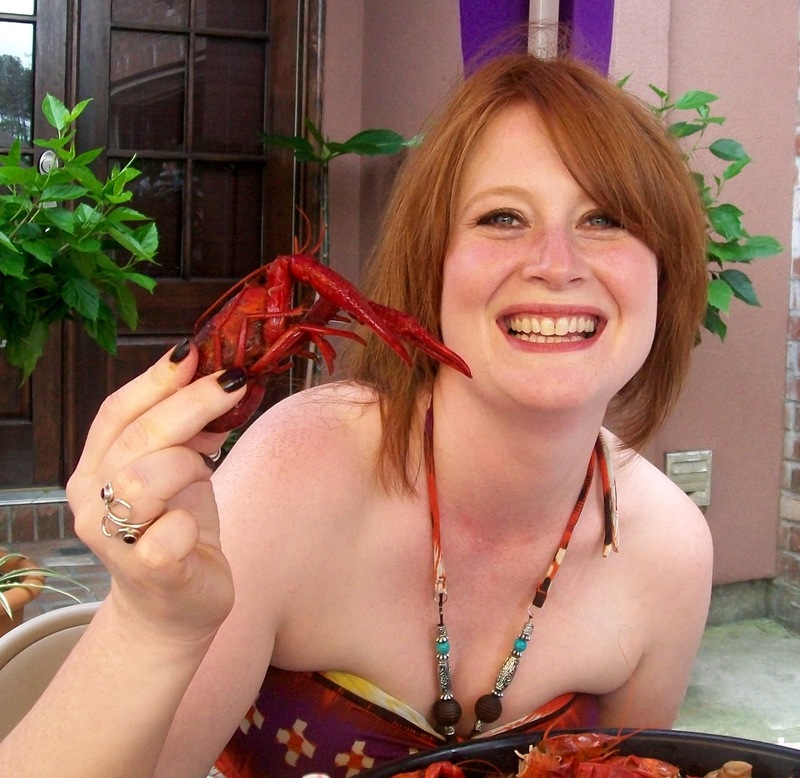 I'm so craving crawfish now!! yummy!